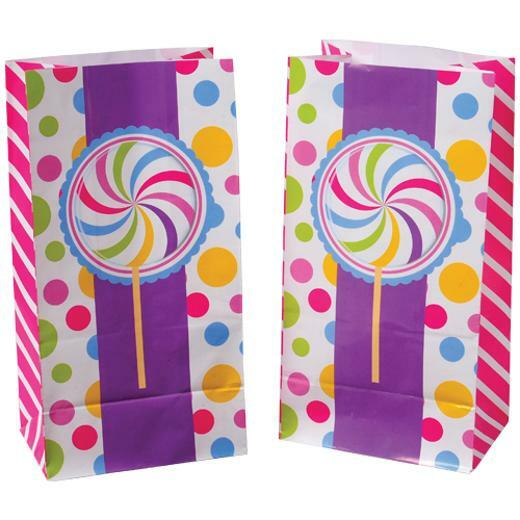 Cheap Candy Paper Bags - 12 Ct.
Candy Paper Bags - 12 Ct. Perfect addition to any candy themed event! Make candy filled goody bags with these themed paper bags. Great for candy buffet parties, these bags are brightly colored with polka dots, stripes, and a lollipop swirl that your guests won't soon forget! L: 5.5 in. W: 0.5 in. H: 10.45 in.